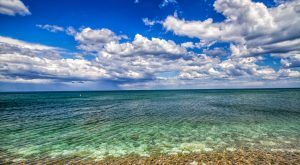 While wintertime in Illinois is synonymous with bone-chilling phrases like “Polar Vortex” and “Snowmaggedon,” these chilly months aren’t all bad. 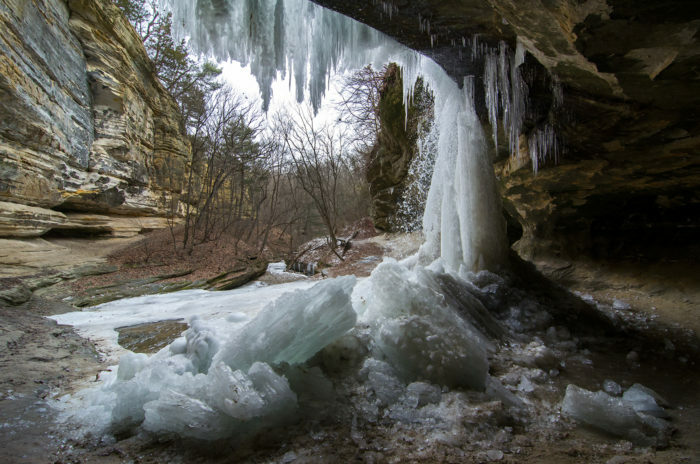 After all, Illinois is nothing if not teeming with beautiful landscapes that look pretty darn stunning even when Old Man Winter wraps his icy tentacles around them, and these breathtaking frozen waterfalls in Illinois might just change how you feel about our frosty little world after all (because the cold never bothered us anyway, amirite?). Within this state park lies a waterfall that is quite majestic during the warmer months when you can enjoy listening to the water splash across the rocks. Even though this park is home to about six waterfalls and a few small caves, Lake Falls is probably the most spectacular waterfall they have. 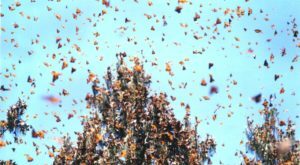 The fall is about 30 feet tall so you can only imagine how amazing it is when it’s completely transformed into an icy tundra. 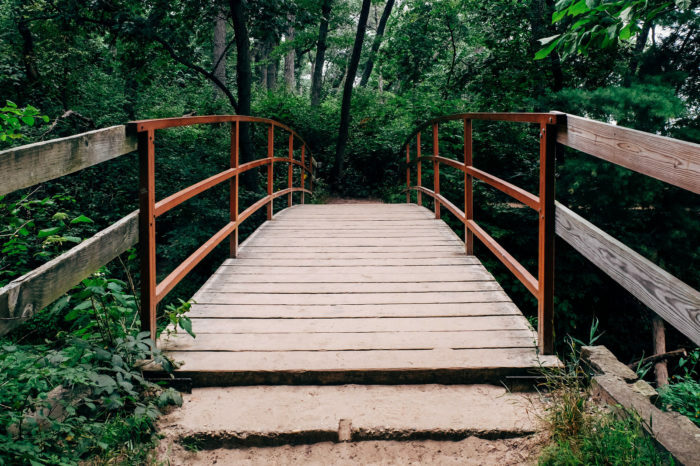 If you are one for taking the road less traveled then might we suggest checking out Vermillion River while you’re already at Matthiessen State Park? While it remains rather hidden, you’ll find these two frozen and converging waterfalls just a bit ahead of Cedar Point. 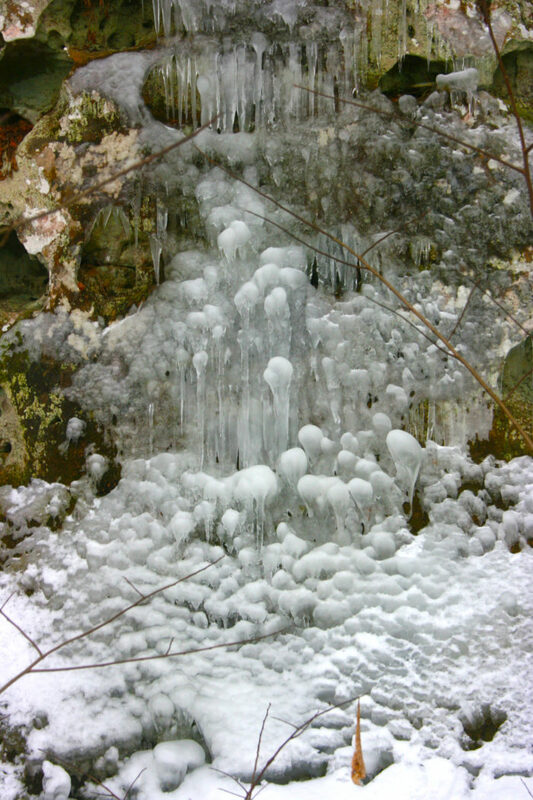 The first waterfall creates an ice formation that’s about 25 feet tall, and because it’s near a small cave you can only imagine the incredible icicles that can be seen dangling from the ceiling of the cave (you’ll also want to check out the ice cave for a truly awe-inspiring experience). 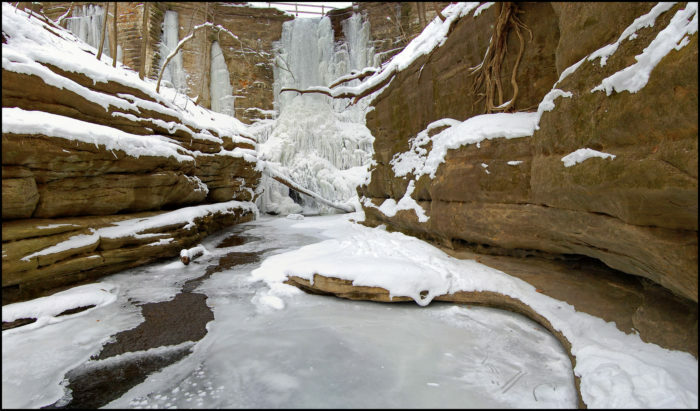 Also in - you guessed it - Matthiessen State Park is the Cascade Falls, which separate the upper and lower dells. Springtime is when it is at its most voluminous, and even though it might not be flowing during the winter months the gorge is stunning covered under ice and snow. 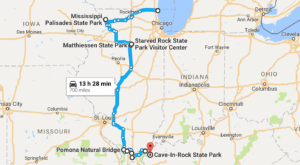 Starved Rock State Park, as you probably already knew, is one of the more popular and talked about parks in Illinois. With all the boating, fishing and hiking it’s no surprise that it draws quite the crowd each year, and this 20-foot waterfall is sure not to disappoint. And don’t forget to follow the trail right behind the falls for an awesome icy-world perspective. 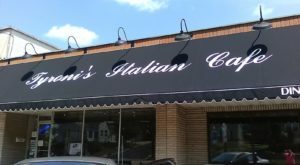 We told you that Starved Rock certainly had its share of waterfalls and the LaSalle Canyon Falls isn’t the only one that should make the bucket list while you are there. 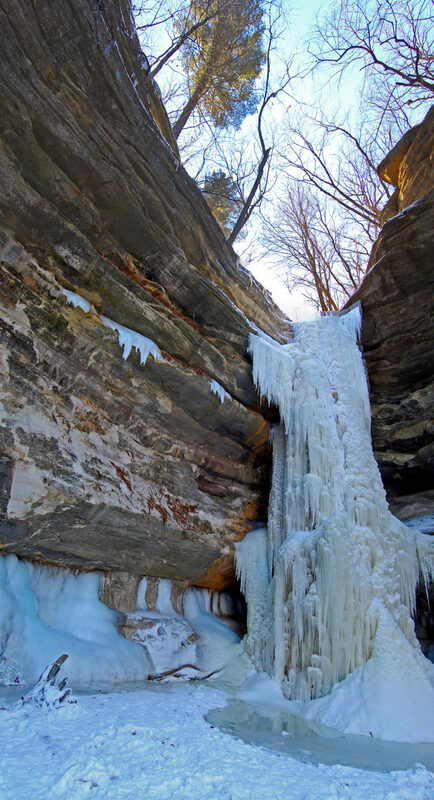 They actually have an 80-foot fall known as the St. Louis Canyon that is naturally bedecked with icicles during the winter. 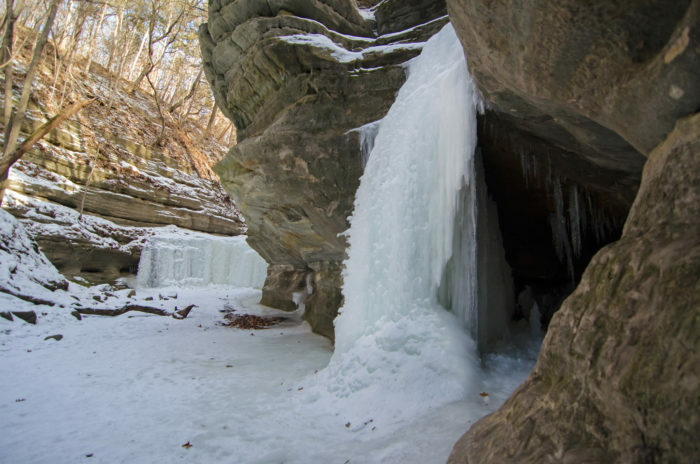 And as if this waterfall wasn’t enough, Starved Rock also boasts another 80-foot waterfall known as Wildcat Canyon, which is rather steep and narrow so watch your step! 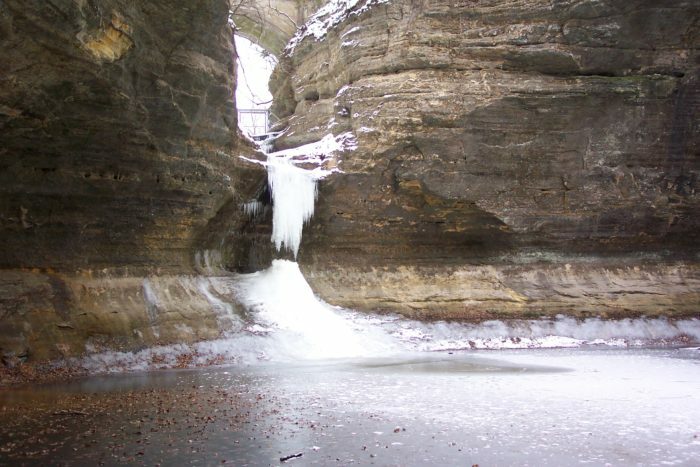 While you can certainly enjoy hiking and boating along the Illinois River if you you’re already in Starved Rock to enjoy the beautiful LaSalle Canyon Falls during the winter months then you’ll want to head to this beautiful rock formation made entirely of St. Peters sandstone. 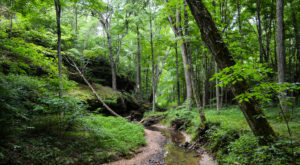 Ottawa Canyon is nestled alongside Kaskaskia Canyon and while it has less water than other waterfalls in Starved Rock, this particular canyon is steeper, making the trickling water plummet from greater heights. 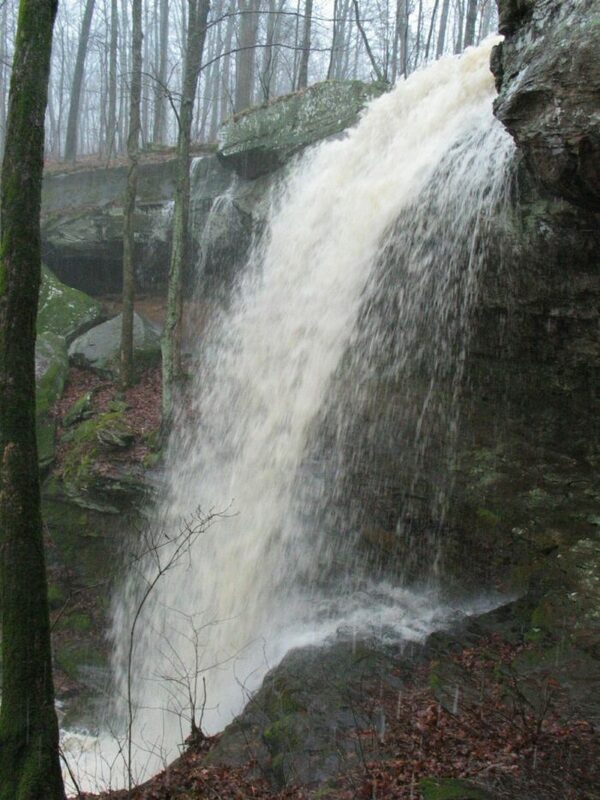 Within the southern Illinois town of Goreville lies another truly lovely waterfall in the Shawnee Hills known as Borks’ Falls. Surrounded by beautiful bluffs on all sides, when this fall is flowing it plummets into a small but charming canyon. A barely visible trail ushers you to the right side where you can actually walk to the back of the waterfall behind the rocks. During the winter months you certainly won’t want to miss out on going behind the frozen waterfall for a truly magnificent experience. If you’ve been to Rocky Bluff Falls then you may know it for its beautiful wildflowers like the celandine poppy and the harbinger-of-spring. Of course, those wildflowers won’t be greeting you during the wintertime but you will get to enjoy a serene snowy landscape and a frozen waterfall that might just take your breath away. 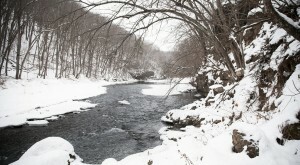 If you head to Heritage Quarries near Lemont you might be in for a pleasant surprise during these chilly months. 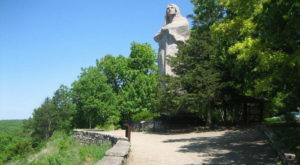 The Heritage Quarries Recreation Area may only be about 3.8 miles long but it connects with the other 3 miles of the I&M Canal Trail, making it a great area for bikers, runners or those who just want to get out into the great outdoors with Fido. 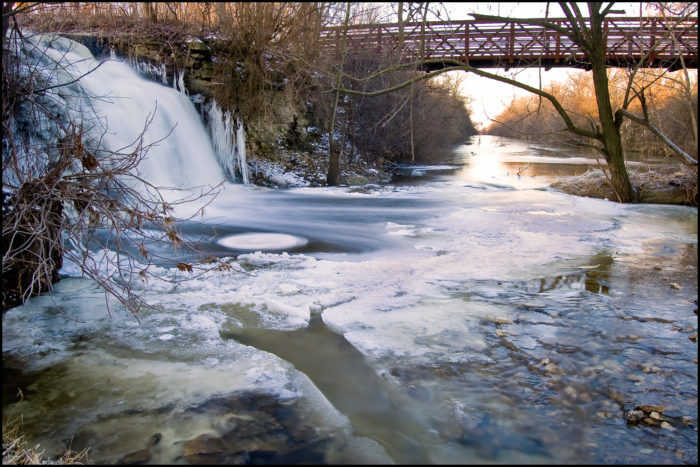 While this Lemont-area waterfall that feeds into the Illinois and Michigan Canal is a tranquil spot you’ll enjoy it just as much when it’s covered with exquisite snowy goodness. If you consider yourself the adventurous type and want to check out some of these locations for yourself, a word of warning: always bundle up and be aware of those slippery, snow-covered surroundings at all times so you can have an unscathed but memorable winter trek through these stunning frozen world. 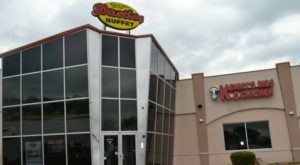 And if you’ve already had the good fortune to check out these locations during the winter we would love to hear from you in the comments. And if you prefer to enjoy the winter from the comfort of your own warm home (we don’t blame you!) 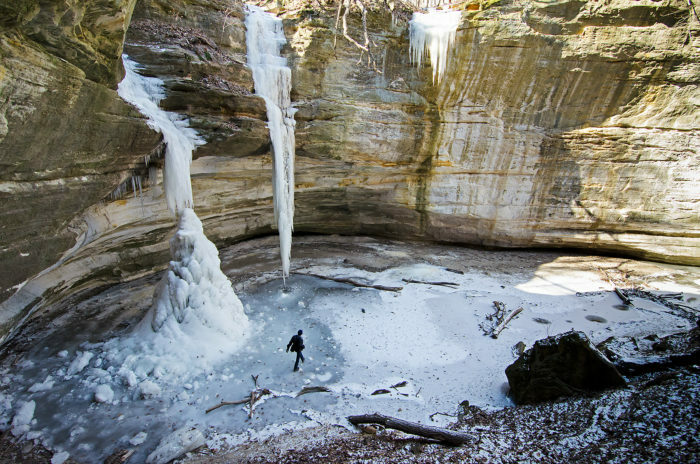 be sure to check out this beautiful GoPro video from Red Truck Studios of Starved Rock’s stunning world under ice and snow.